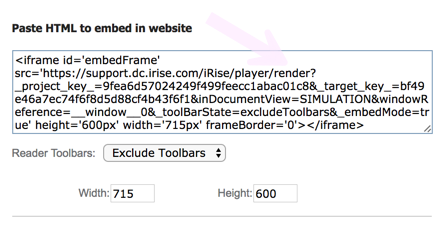 iRise Avatar™ software allows you to add new functionality to Definition Center without writing any code. The software is free and available to download from the Extensions section of iDocs & Extensions. 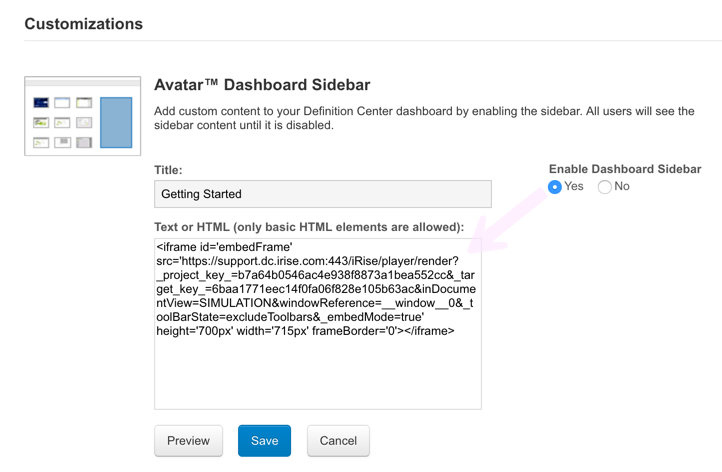 This article explains how to install a custom Avatar™ Dashboard Sidebar. Note: You must have Administrator privileges on the Definition Center in order to perform this task. 1. Import the downloaded dashboard iDoc onto the Definition Center (or create your own) Tip: a good place to store your Avatar™ iDocs is the Customizations folder. 4. 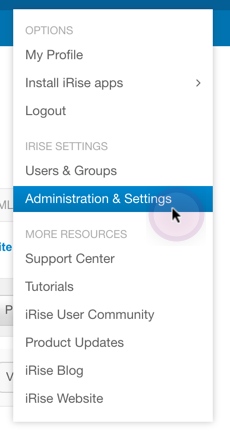 Click on your profile on the top right-hand side and in the dropdown list, select Administration & Settings. 5. 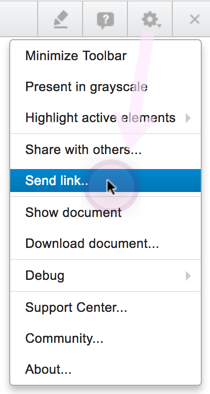 Select Customizations, then click on the Edit button under Avatar™ Dashboard Sidebar. 6. Click the Yes radio button on Enable Dashboard Sidebar and paste the link and press the Save button. 7. Change permissions on the Avatar™ project to allow all Definition Center users to access it (the Everyone group).